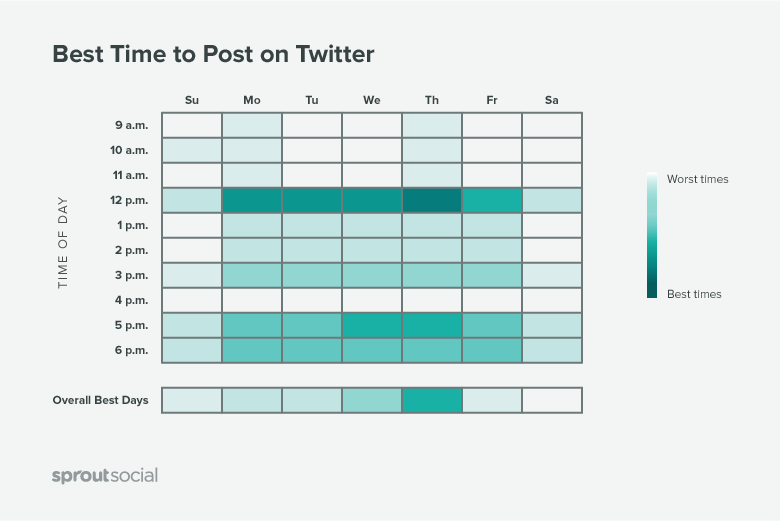 So, when is the best time for your to post jobs to social media accounts? Sprout Social has done the extensive research, and developed the following charts (view even more on their website). 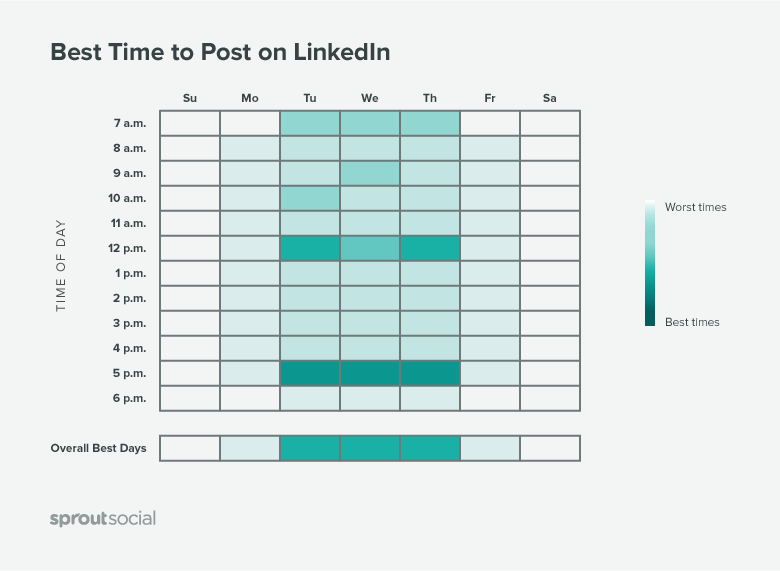 LinkedIn – the Professional Network – as you can see on the chart below, LinkedIn users are most active on Tuesdays, Wednesdays and Thursdays, and the busiest times appear to be from noon-1pm, and 5pm-6pm. Least optimal times to post are weekends. We recommend encouraging your employees who are active on LinkedIn to also share your job posts and other company content. Facebook – the everyone you know network – Facebook is active every day of the week, the busiest times, are noon – 3pm every single day. Thursday at 1pm is the most recommended time to post your jobs on Facebook. Early morning, and late nights are the least optimal times. On Facebook we recommend using images and video to help amplify your posts and generate the most click throughs. Twitter – the trending network – with Twitter, post often. Monday – Thursday are the most active days, and Thursday at noon is the best time to post. Use hashtags in your posts to help Twitter users find your posts, and don’t be afraid to ask for Retweets. 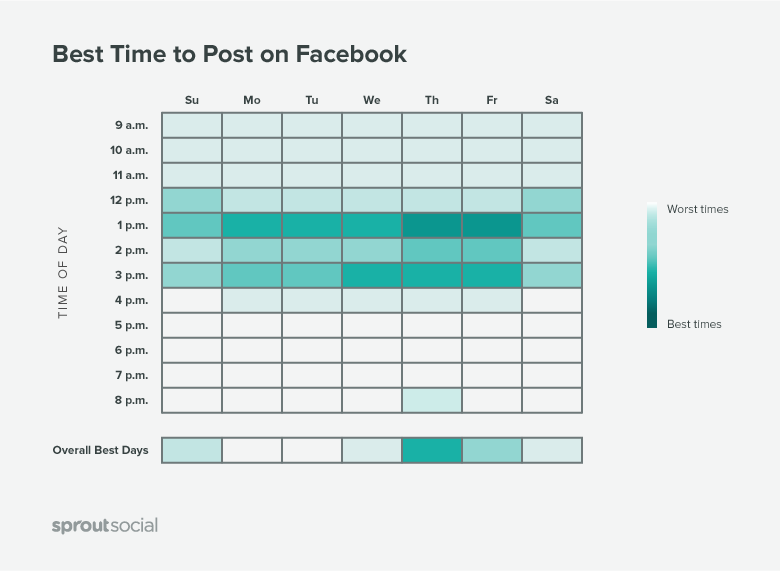 Sprout Social reports it’s safe to post any weekday from noon to 3pm. Be ready to respond to any Twitter replies. 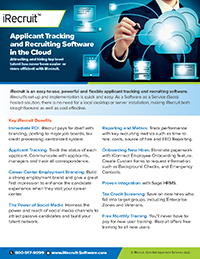 Additionally, social media doesn’t have to take up too much time from recruiting. Reach out to your marketing department for advice and assistance. We also recommend using social media tools like Hootsuite to schedule posts and easily track engagement. Have any questions about posting your jobs to Twitter, Facebook or LinkedIn? Please contact us here with any questions or feedback. This entry was posted in Blog, iRecruit Blog and tagged facebook, linkedin, social media, twitter. Bookmark the permalink.